translation: Born in the Gold Coast region of Guinea in the beginning of the 19th Century, she was brought to Brazil as a slave. 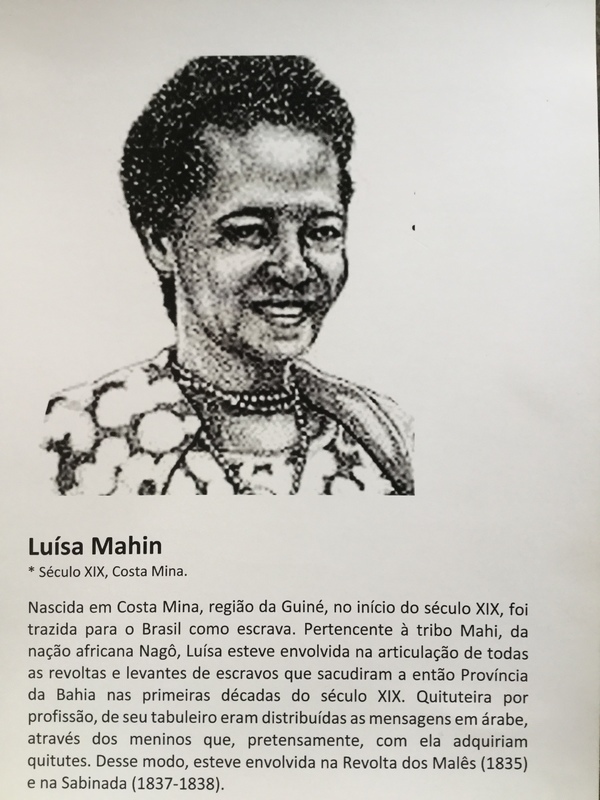 A member of the Mahi people, of the African nation of Nago, Luisa was involved in the articulation of all of the revolts and slave uprisings that shook the then Province of Bahia in the first decades of the 19th Century. A snack shop owner by profession, her platters were used to send messages in Arabic, which boys would collect when they got their snacks from her. In this fashion, she was involved in the Malê Revolt (1835) and in the Sabinada (1837-1838).